The Taj Mahal – Easy Tours got us right up on the top platform so we could see the detail up close. India was the first destination on the itinerary when we put together our Big Adventure. 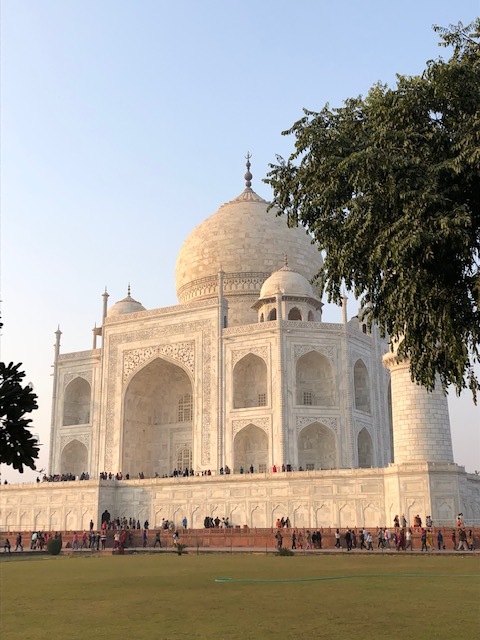 A trip to India had been at the top of my bucket list for as long as I could remember, and Brett wanted to go as well, but we both knew it was not a place we were equipped to visit on our own, especially not for a first visit. We knew, unlike other destinations, that we needed some sort of organized tour. So, I dug in and began researching tour companies . . . and there are a lot of them! However, one name kept coming up again and again, always with five-star reviews: Easy Tours – Luxury Travel Made Easy. 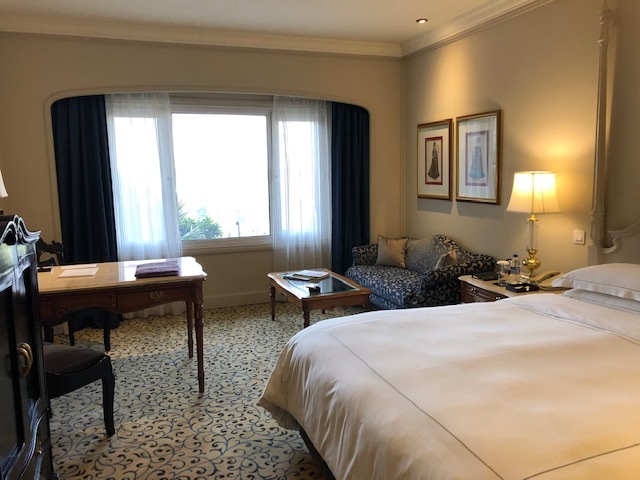 The luxury part wasn’t what got my attention though; instead, it was the variety of tours that were offered and especially the small tour group sizes. Brett and I are not “tour people,” but Easy Tour’s groups were limited to no more than 12 people, and we later learned they often cap a group’s size at eight persons. Another aspect that appealed to us was the company’s focus on culturally immersive touring versus just getting us from place to place. Finally, Easy Tours is based in the U.S. (in Dallas, TX), one other reason we felt comfortable booking with them. Our wonderful guide, Luke, explained everything we were seeing, and made history and culture come alive. Raj drove us everywhere, through the craziest traffic, without incident. Our group had our own minivan throughout the tour. From making sure we had all of our paperwork in order before we traveled (visas are required to enter India), and meeting us at the airport upon arrival and getting us to our hotel to seeing us off at our departure, the attention we received from Easy Tours was personal and always available to make sure everything happened easily and effortlessly. 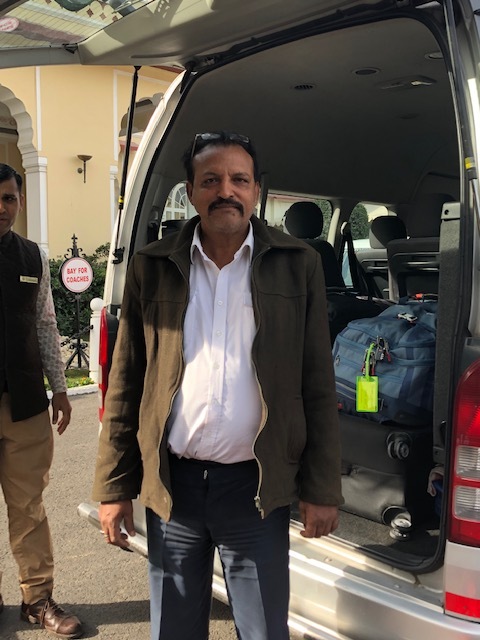 We received exceptional service throughout the tour – our wonderful guide, Luke (Lokendra) was at the hotel every morning to greet us and let us know what was up for the day, and Raj, our driver, expertly got us from place to place without incident. Both spoke fluent English, and Luke’s knowledge of the places we visited was amazing. 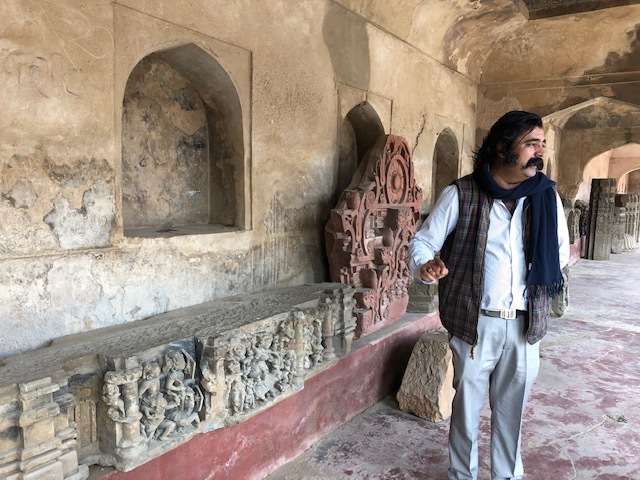 He was able to explain to us both cultural and historical aspects of things we were seeing, from ancient to modern, things that made the travel experience deeper. He kept us informed about life in India, its customs, etc. as well. 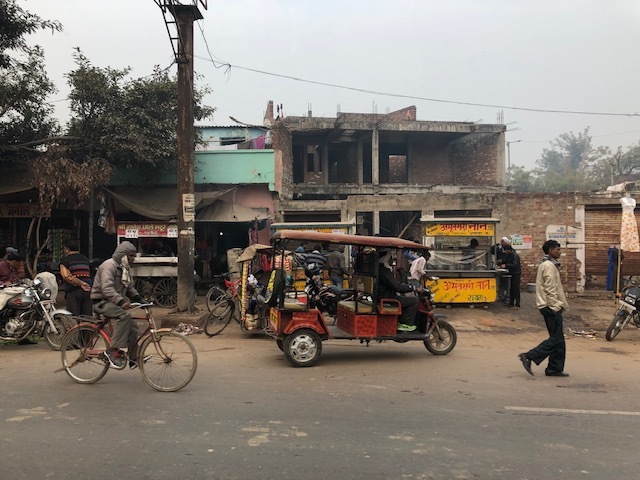 We were able to see and sometimes experience aspects of Indian life that we might otherwise have missed, from rural life to glittering palaces, from religious traditions to India’s crowds and crazy traffic. All hotels we stayed in were five-star, with every amenity and superb service provided. 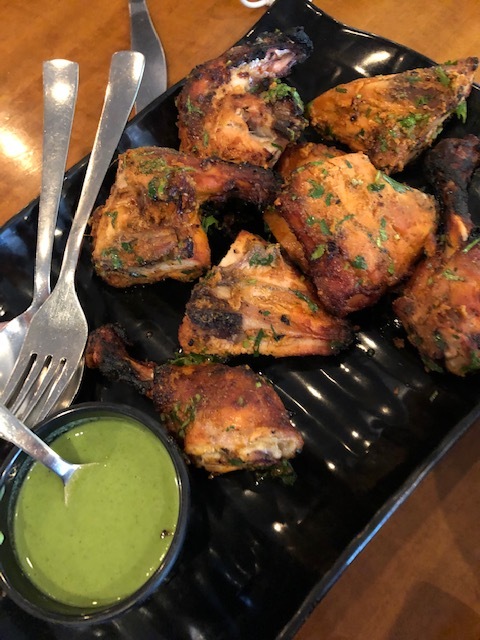 Tandoori chicken with mint chutney on the side – so good! All our meals were varied and delicious, with both Indian and Western food available. Hot, fresh naan bread was always at the table! Every part of India was fascinating – we hope to return some day. Both Brett and I hope to return to India someday – it was truly among the most memorable travel we have ever experienced. There is so much more of India that we want to see, and we would not hesitate to use Easy Tours again. We also would not hesitate to use them for travel in other parts of Southeast Asia. It’s always nice to get an honest opinion. Glad you were so happy with the company. I did not know they were based in the U.S. That makes a difference to me. Thanks for the review. We are very glad we chose to use Easy Tours – we had an incredible experience in India, and our tour convinced us that we want to see more. We were quite spoiled in many ways, but it was also nice not having to worry about moving from location to location, or hotel to hotel, etc. – it allowed us to concentrate on what we were seeing and learning. That’s such a smart way to see India. I have always found the concept of visiting there intriguing, but am overwhelmed by the logistics and the views of the intense crowding, noise, etc., that I see in movies. So this type of tour sounds great. We had such a great experience, and afterwards were even more convinced that we had made the right choice using Easy Tours. We had a wonderful “first look” at India, and would love to come back some day to see more. It was a fascinating country.